La Soñador ~: "Those Were Only For the Jews...."
It is very dangerous to think, teach or believe that parts of the scriptures don't mean what they say or don't pertain to us personally. If YHWH said "Do this and live" and NO WHERE in scripture it says they are temporal, changing, or passing away, but in fact say over and over again that they are statutes FOREVER and are for our good and define exactly what righteousness is and how to live pleasing to YHWH.... a person has only one option, believe or don't believe. Consider also that if ONE prophet comes and says something that is entirely against what the rest of the scriptures say, he is either a LIAR or being misunderstood. 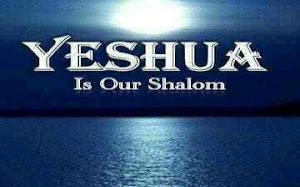 I have already shown that the rest of the scriptures uplift and declare the goodness of the eternal law of YHWH. Yahshua Jesus himself declared the eternal goodness of the law of YHWH and told us to throw off traditions and to follow the law. If you think Paul is going against the rest of scripture.... he is either a liar, or misunderstood and taken out of context. What is that context? First, don't take snippets. Second, all major words and ideas must be clearly defined and declared in the Old Testament which was THE ONLY scripture in Paul's time. Is Paul a false prophet? I do not believe so. Is he seriously misunderstood and taught to be contrary to the entirety of the scriptures today? I believe he is. Does Paul state a law was nailed to the cross? Yes. But in that chapter he points out 7 different laws. One of which is the law of SIN and DEATH. Many teach that the Law of YHWH is thrown out, and MANY do this because they refuse to submit their lives fully to their creator. They embrace sin. Like we did for along time, many are still holding the belief that OUR definition of righteousness and love must be acceptable to YHWH, when the bible actually states that ONLY YHWH's definition of righteousness and love are acceptable. Yahshua Jesus is a perfect sacrifice, but if a person continuously fights against YHWH and scripture and refuses to put away the traditions, lies and pagan practices of this world.... there is no sacrifice remaining. You either accept HIM as LORD of your life, King and Law Giver.... or not. This may seem harsh and I do not mean it to be. My heart is for people to KNOW in their hearts that ALL of scripture is YHWH's love letter to us, and the good news is that YHWH saves, Yah Shua.